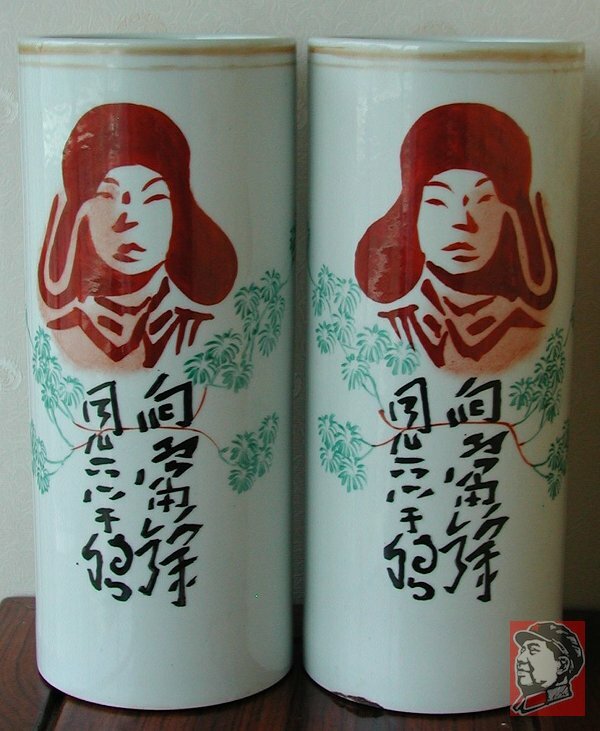 This is a nice pair of vases that show mirrored images of Lei Feng, the poster-boy of the Cultural Revolution for his heroic exploits. Lei Feng was soldier in the PLA who became idolized after his death as a selfless patriot around which a campaign was launched during the Cultural Revolution. 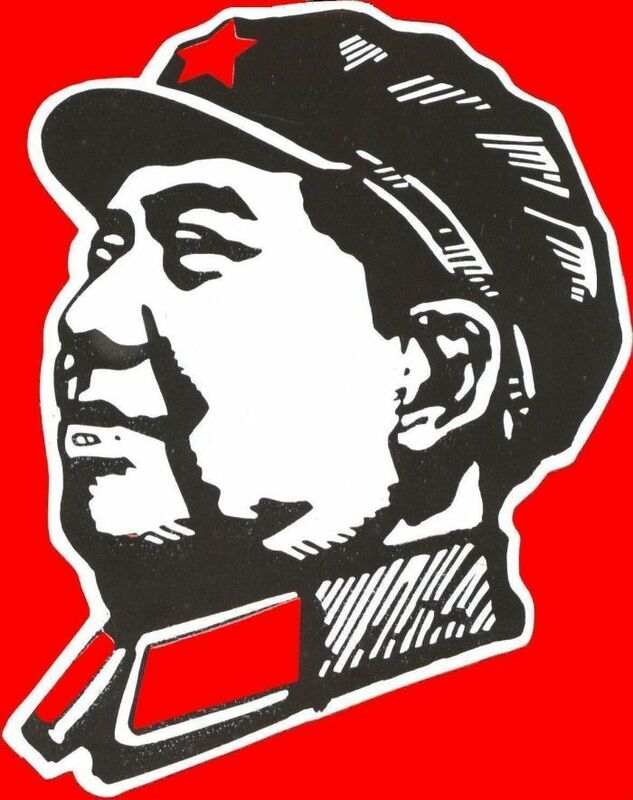 The slogan under each image of Lei Feng is: "Learn from Lei Feng". Each vase is 28cm (11 inches) high and 11.5cm (4.5 inches) in diameter. 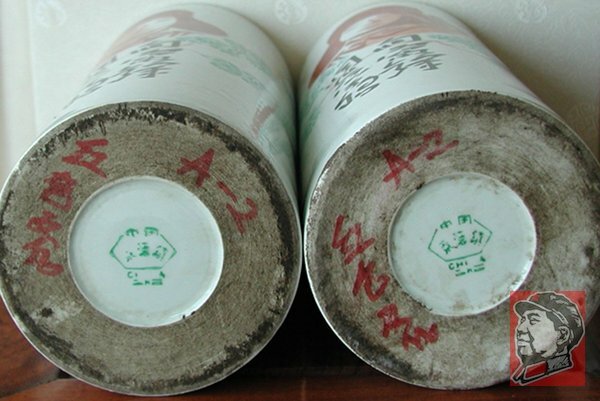 The undersides are marked as being made in Jingdezhan, the most famous area in China for producing ceramics.